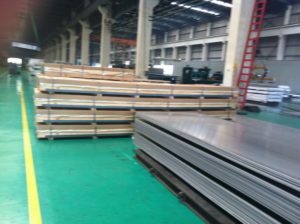 Aluminium plates and sheets are the fabricated aluminium products. Thealuminium plates are produced when the aluminium is passed between rolls under pressure and then it changes into thinner and longer. The aluminium sheetis produced when slab is again rolled through a continuous mill in order to diminish its thickness and then wound into a coil at the end of the line. Aluminium plates and sheets are used in food and beverage, building and construction, automotive and transportation, aerospace and other end users segment. It offers a unique properties like weight advantage, durability and highly formable. It does not discolour products and is reflective to both heat and light. It can be coated with a wide variety of surface finishes and welded and formed according to the preference. Let us check out the top five aluminium plates and sheets manufacturers all across the globe. The following list is dynamic depending on changing market conditions. Arconic is a manufacturer of breakthrough aluminium sheet and plates for the aerospace industry, automotive, commercial transportation, brazing and industrial markets. The company holds global market position in aluminium sheet and plateand a market leader in providing aluminium sheet to the North American automotive market. Arconic’s plants manufacture strong alloy plate for applications that offers high strength, greater hardness and machinability. Arconic recently signed a billion dollar contract with Airbus valued at approximately $1 billion. Airbus planes will feature Arconic‘s aluminium plate in wing ribs, fuselage frames, and other structural parts of the aircraft. Aleris is one of the leading suppliers of plate, sheet and foil products with approximately 13 facilities in North America, Europe and China. Aleris’s aluminium plate comes with standard and customer-specified alloys using world’s most advanced hot and cold rolling mills. The company recently opened a hot rolling mill in Zhenjiang, China to meet global demand for aluminium plate for aerospace and commercial plate customers. Constellium is a supplier of aluminium plates, sheets and other extrusion products for aerospace, marine and transportation, defence and industrial manufacturers around the globe. It has its manufacturing facilities in Europe and North America with 22 manufacturing Sites. The Company is a European leader in aluminium precisions and castings. According to Constellium, the company is world’s number one in aerospace plate, hard-alloy extrusions and in aluminium precisions and castings. Some of the company’s brand for aluminium plates are ALPLAN, UNIDAL, ALCA and FORTAL. Hulamin is the South Africa’s leading aluminium rolled products manufacturer. The company produces a wide range of aluminium sheet, plate and foil products. The company’s products are very demanding in the transportation, automotive, electrical, semi-conductor, vacuum chamber, pneumatic, machine and mould building as well as in the defence industry. Hulamin’s aluminium plate products are: M82 Precision Plate, M61 Plate, T500 Tanker Plate, 5083 Marine Plate, and 5086 Marine Plate. The company’s key products are aluminium plate, strip, foil, tube, bar, profiles and module forgings, free die forgings, die castings, aluminium welded tube, aluminium-lithium alloy etc. Some of the other top players in the field of manufacturing aluminium plates and sheets include Southern Aluminium, RUSAL, Nippon Light Metal, Nanshan Aluminium, Mingtai Group, Kobelco, Kaiser Aluminium, GLEICH GmbH, Furukawa-Sky, AMAG, Alnan Aluminium and Alimex. This entry was posted in Aluminum Sheet and tagged Aluminium plate. Bookmark the permalink.